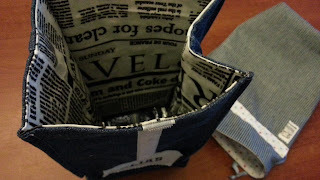 Another bag construction today! 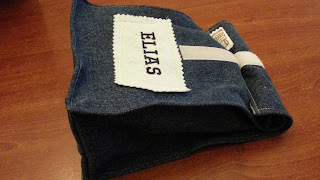 A gift for a boy classmate of my youngest daughter for tomorrow- yup I made it up to the last moment :-). At first I was planning to make a shirt for a 7 year old boy just like what I did the last time but this time I was thinking an embroidered crown with his name on it. And then up to the last minute I change it into a bag, in this case it's a lunchbag, pattern from www.pattydoo.de, and as a "wrapper" it is a gift bag from 2strings, an indie pattern designer from www.craftsy.com. 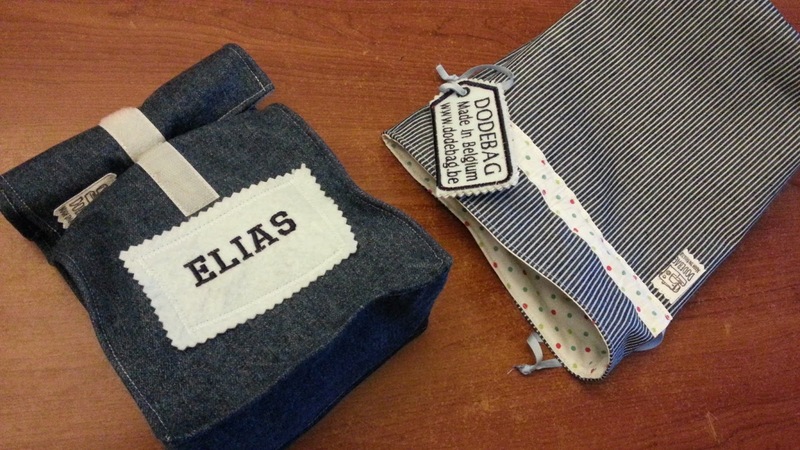 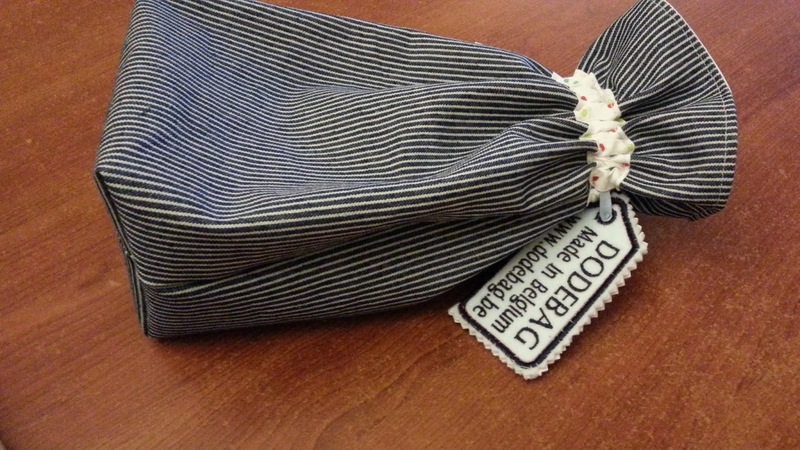 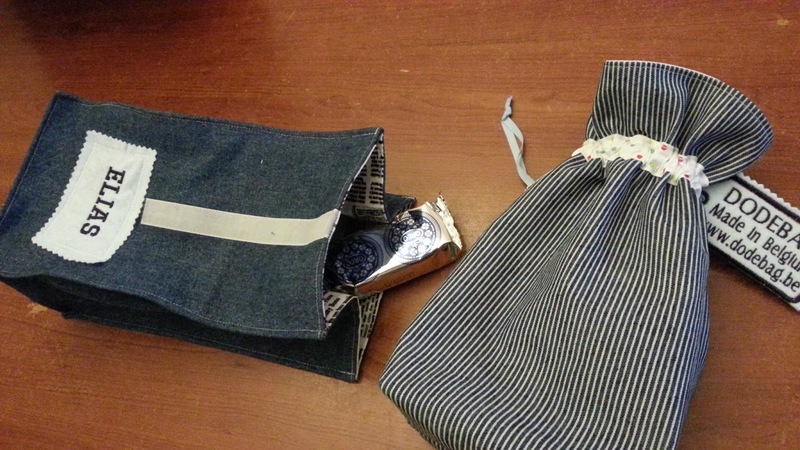 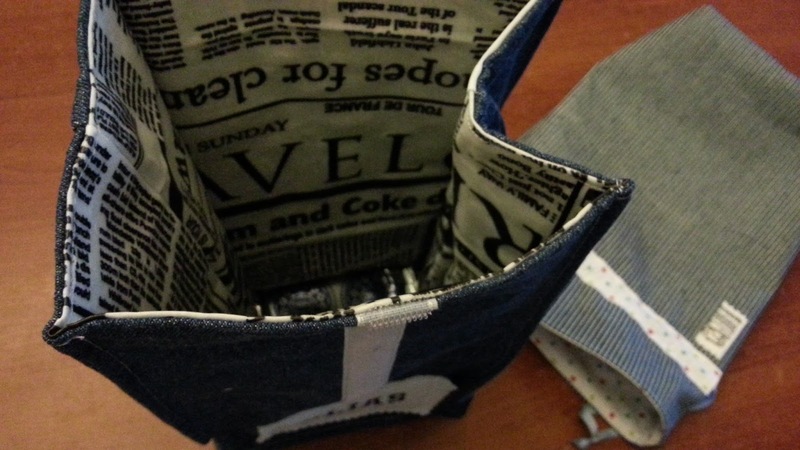 All fabrics are from my stash, I'll start from the lunchbag first - the exterior fabric is a typical blue jeans and then the lining is a laminated fabric I bought from stoffenspektakle. As for the gift bag, it is a striped stiff blue and white jeans and as for the lining my typical dotted fabric which I bought it long time ago at Veritas store.